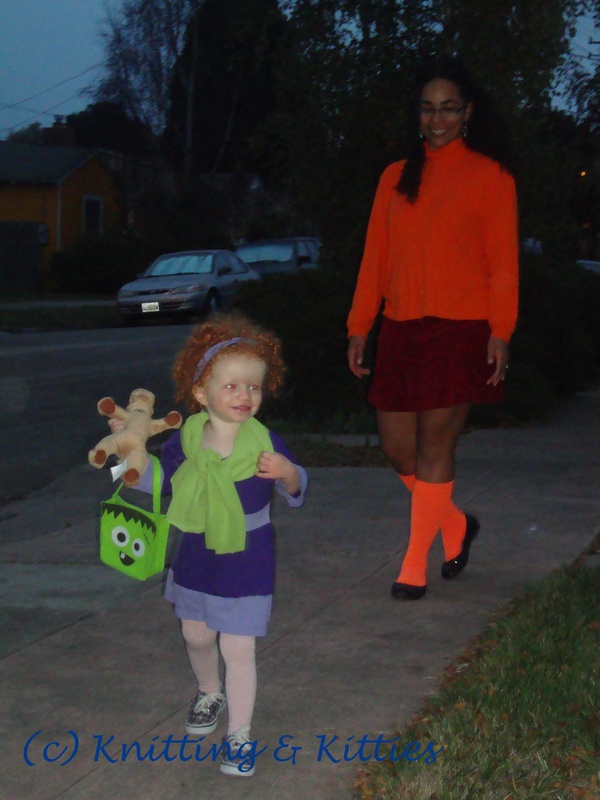 That’s me as Velma trailing Daphne and she ran down the street. My socks are ridiculously bright. They look like their glowing in every picture. Mr Liu was dressed as Shaggy, which means he wore a green shirt and brown pants. And yet his costume was the hardest to pull together. Do you know how hard it is to find a green shirt with no logo on it? WAY harder than it should be. Overall, I think everything came together. And I’m pretty damned proud of the Daphne dress. 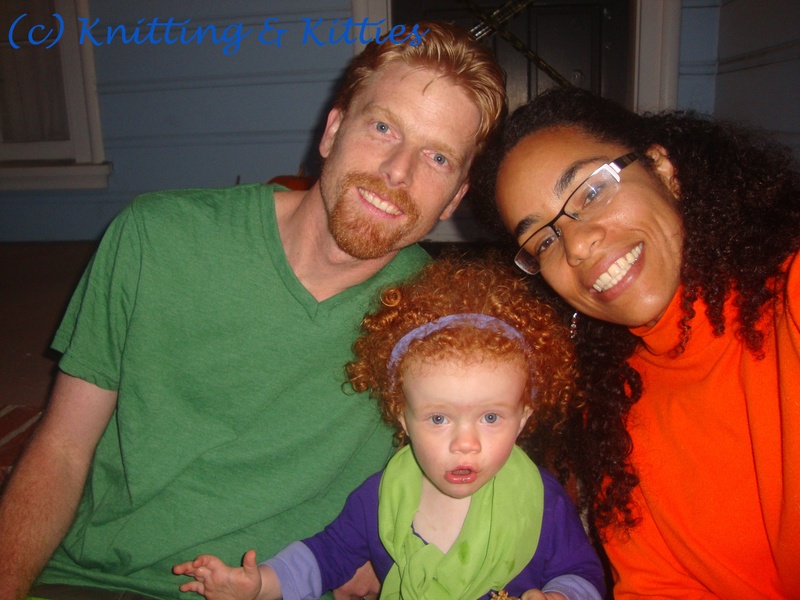 This entry was posted in Baby, non-yarn craft. Bookmark the permalink.